Sometimes a notion pops into my head out of the ether, and I follow it. It might take the form of an impromptu decision to turn left instead of right, or an urge to contact someone with whom I haven’t spoken in ages. I used to dismiss such instincts, but I’ve learned to follow them. Sometimes I end up being in the right place for something … or someone. This week it happened again. I was on my way home from Seattle with son David when I suddenly remembered our local blood center was nearby. David and I used to donate together as often as allowed before I was given a permanent deferral due to my metastatic cancer. David wanted to donate, so I dropped him at the front door and parked to wait. I worked on a writing project, periodically opening and closing car windows to adjust the temperature. Once I overheard fragments of a conversation in the car next to me as I was closing my window, but from my compact SUV I couldn’t see face of the sole occupant. When I stepped out to check on David, who was taking longer than usual, I noticed the guy in the neighboring car was wearing medical scrubs. When I was walking back to my car (still sans David), I remembered who he was: he was the nurse who had given me my permanent deferral for metastatic cancer last year. He’d handled my blood donation several times. I walked over to the driver’s side of his car and said hello. He looked up, his face brightened as he recognized me, and we exchanged pleasantries. Then he told me he’d just had a phone call from his best friend, who today learned she had colon cancer and was waiting for biopsy results on possible liver metastases. He didn’t know how to handle the news. We talked until he had to go back to work. He called me the next day and we talked for an hour about cancer, loss, and what do you do with news like that? And that’s why I follow my instincts. 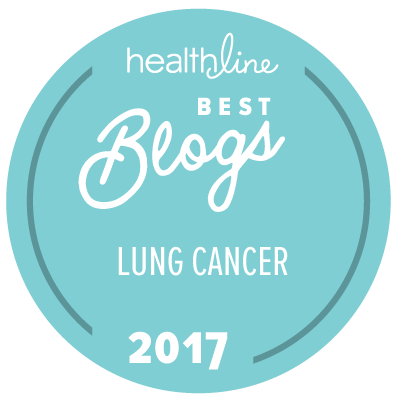 This entry was posted in Lung Cancer and tagged cancer, instinct, Lung cancer. Bookmark the permalink. Sometimes I think these happenings are God’s way of saying I am here and still care for you everyday. Thanks for sharing! Love those strange meetings and opportunities to care for each other. I’m glad you understand, mehald.